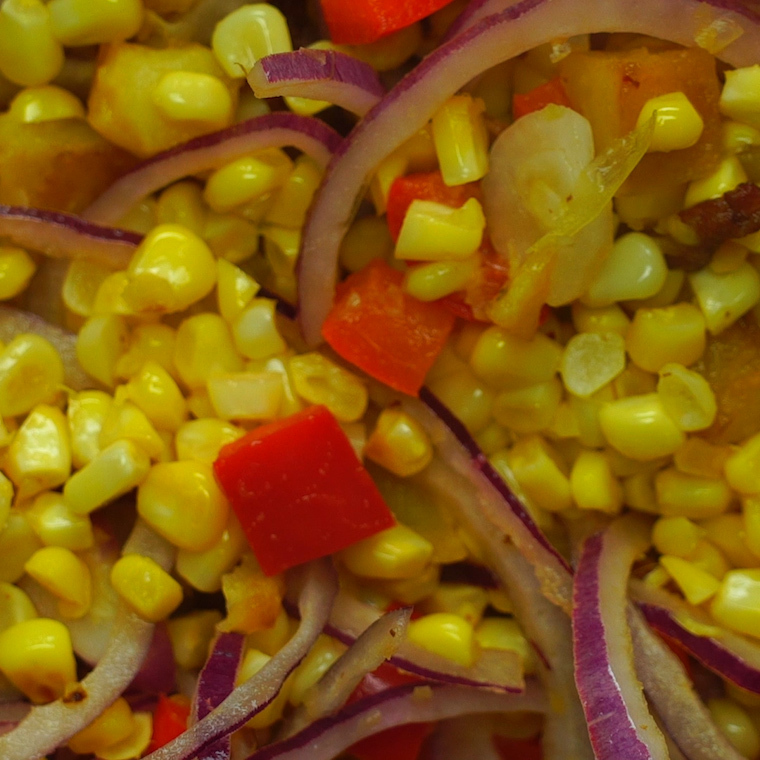 Nothing feels better than sitting inside with a warm bowl of corn chowder when the weather is miserable. But even a classic can be improved! 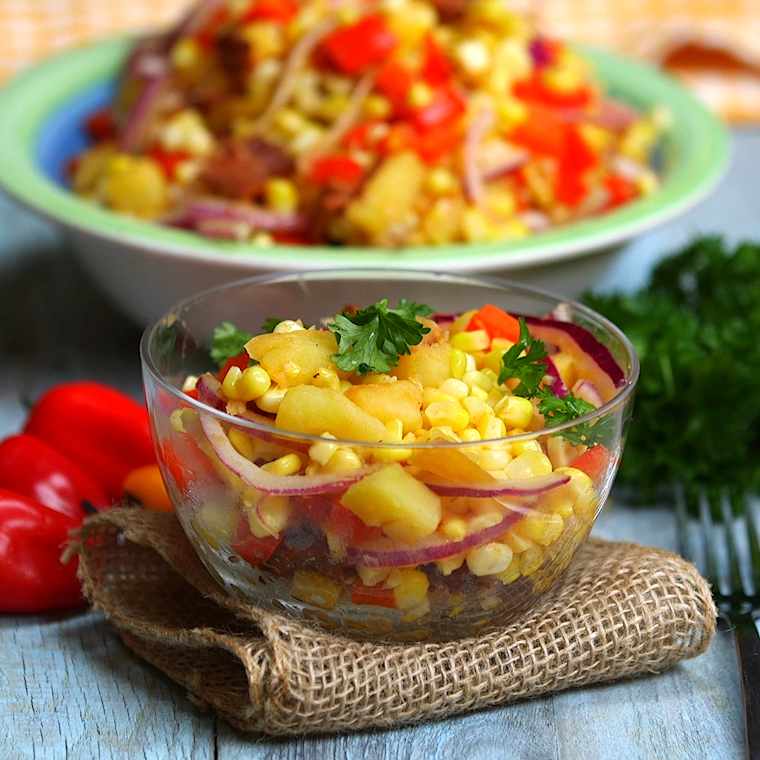 This clever twist nixes the soup and replaces it with more corn, potatoes and bacon. All you lose is the broth, while you get even more of the good stuff. Plus, it features the great taste of cider vinegar. 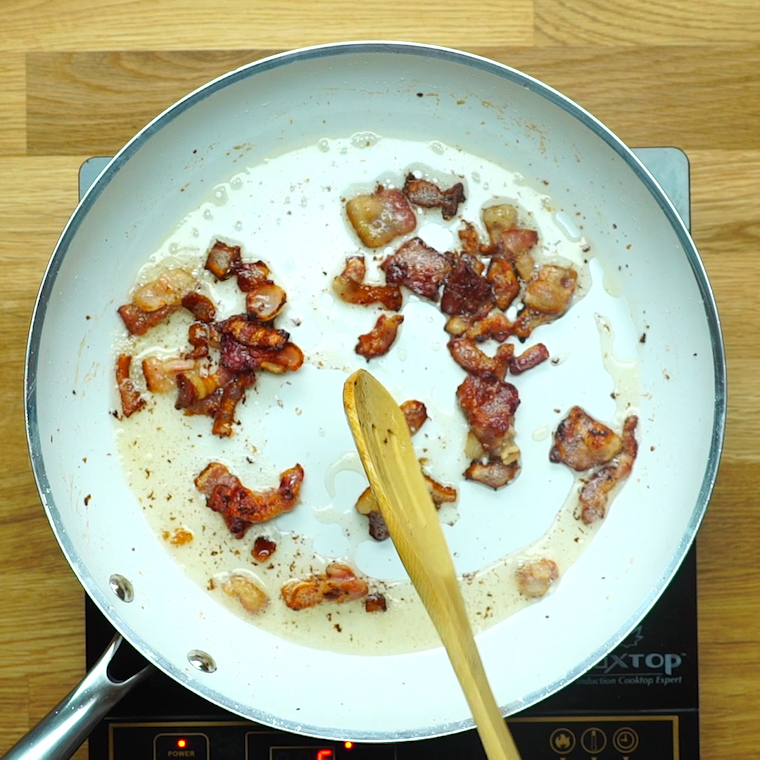 Cook the bacon over low heat in a large skillet until it’s crisp. Move the bacon to paper towels to drain. 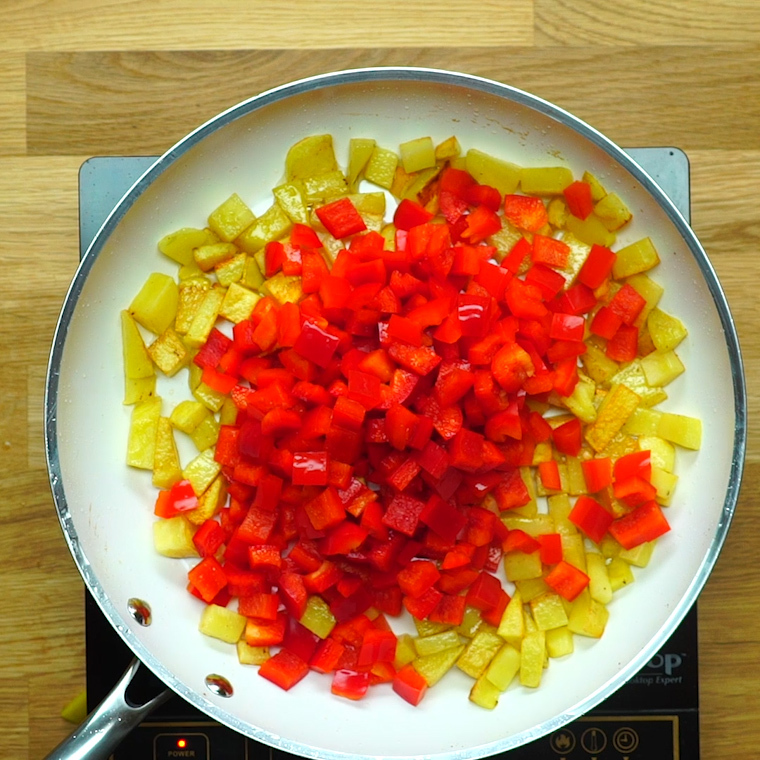 Pour the bacon fat out of the pan, but leave about 3 tablespoons in the skillet. 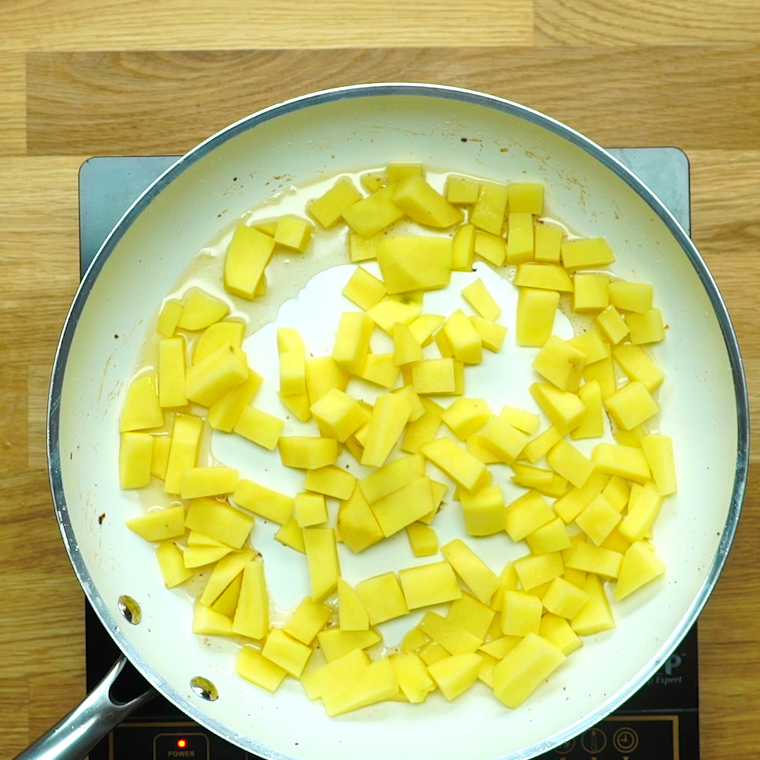 Add in the potatoes and cook it over a medium heat until they start to brown – this should take around 3 minutes. Keep stirring and cooking for another 2 minutes after you reach this point. 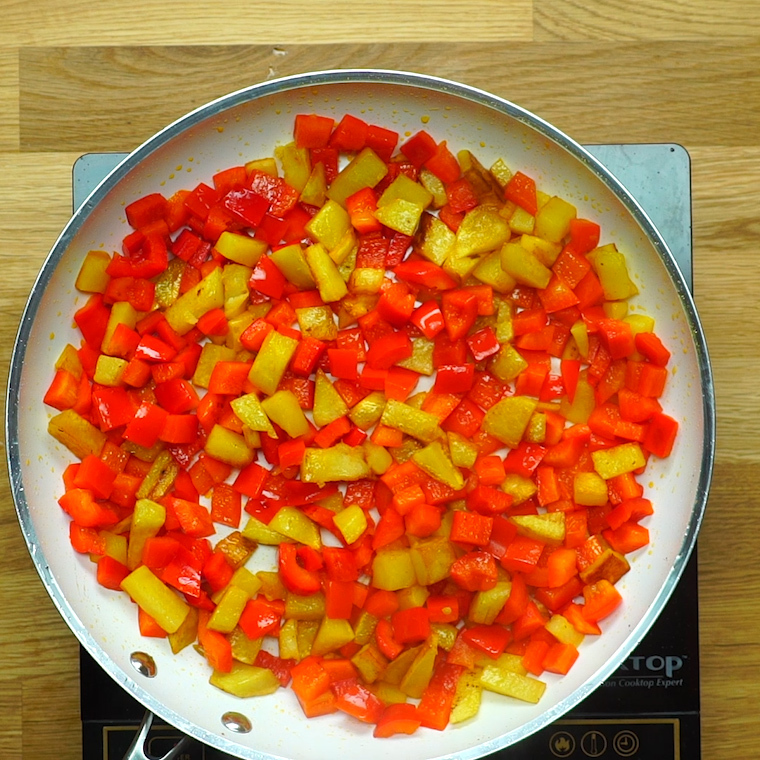 Add the diced peppers and cook for another 5 minutes until all the vegetables are tender. 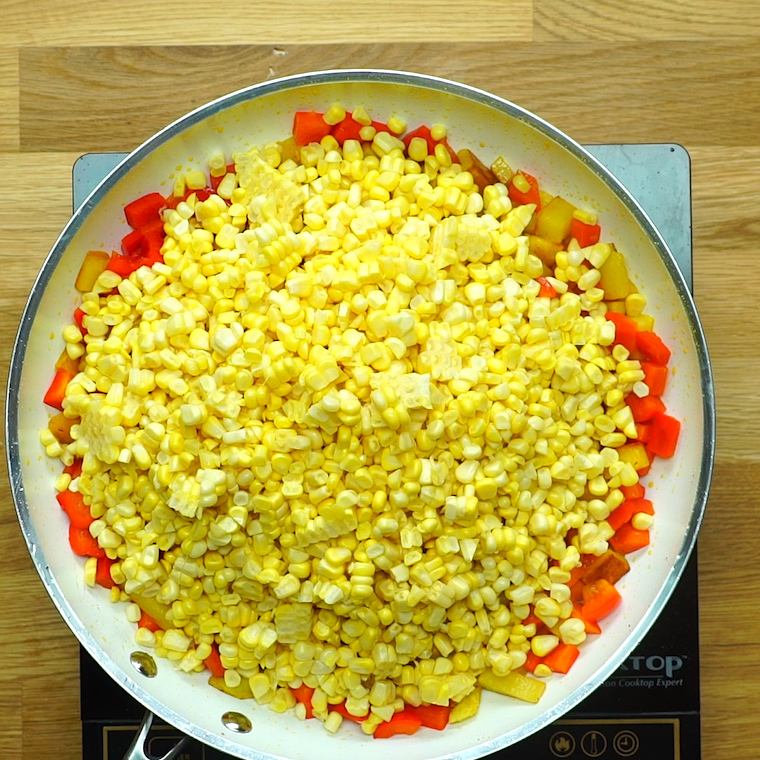 Now, add in the corn kernels and stir for a few minutes until they’ve been heated through. 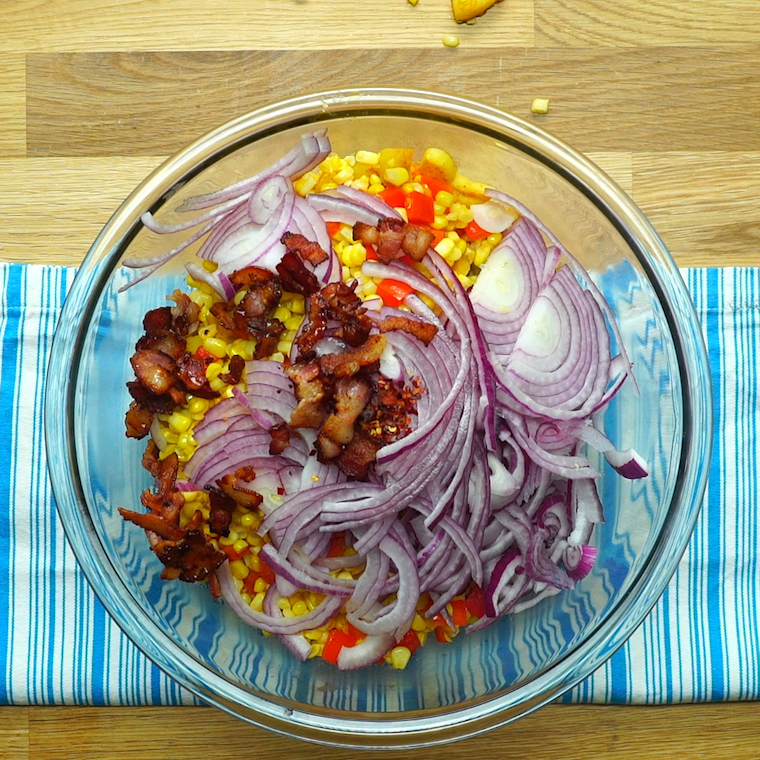 Transfer the vegetables to a bowl and stir in the onions, cider vinegar, red pepper and bacon. 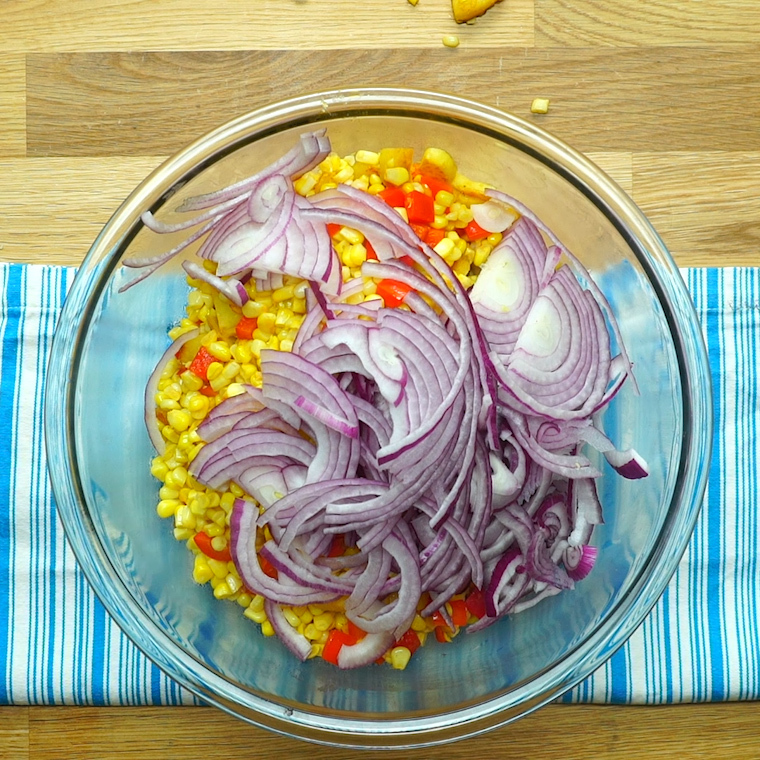 Add salt and pepper to your liking and then serve. 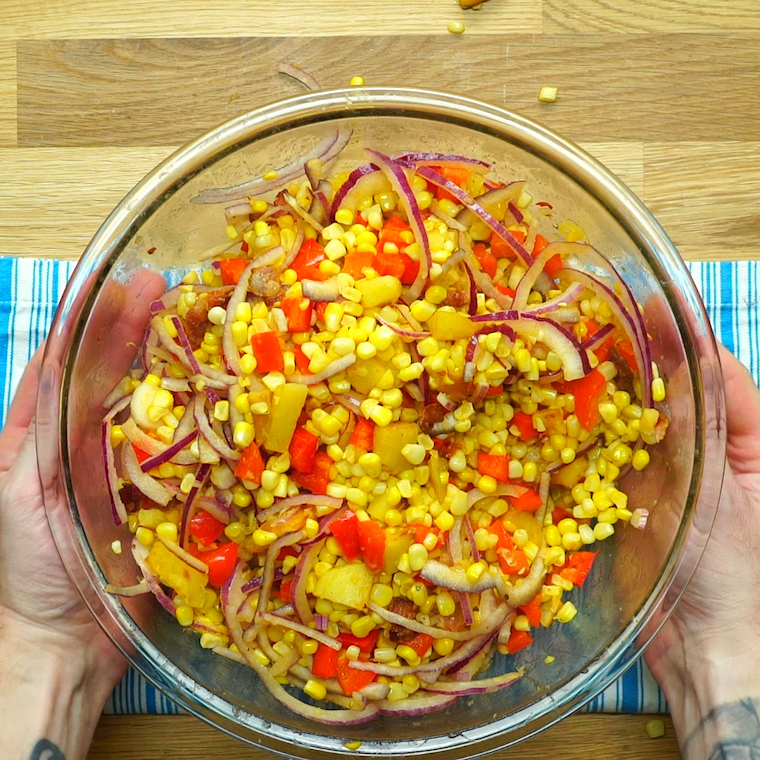 This delicious meal is perfect comfort food, and it only leaves one dirty pan when you’re finished.